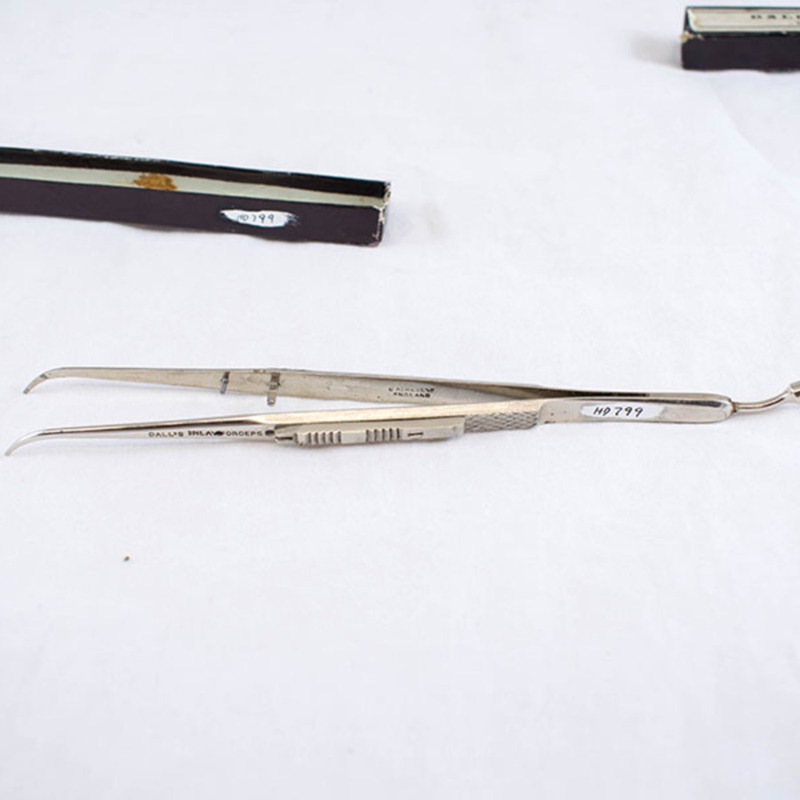 Forceps with locking slide on handle, ground to hold inlay more firmly. 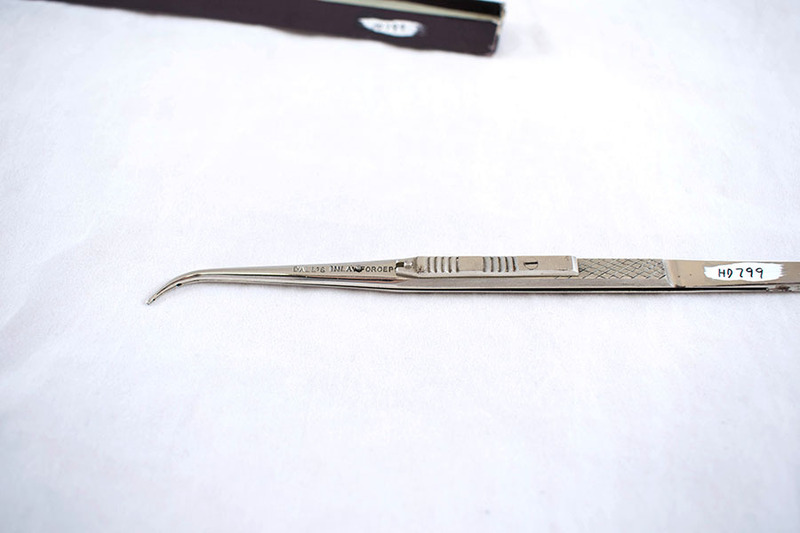 End of handle modified to press inlay while cementing. 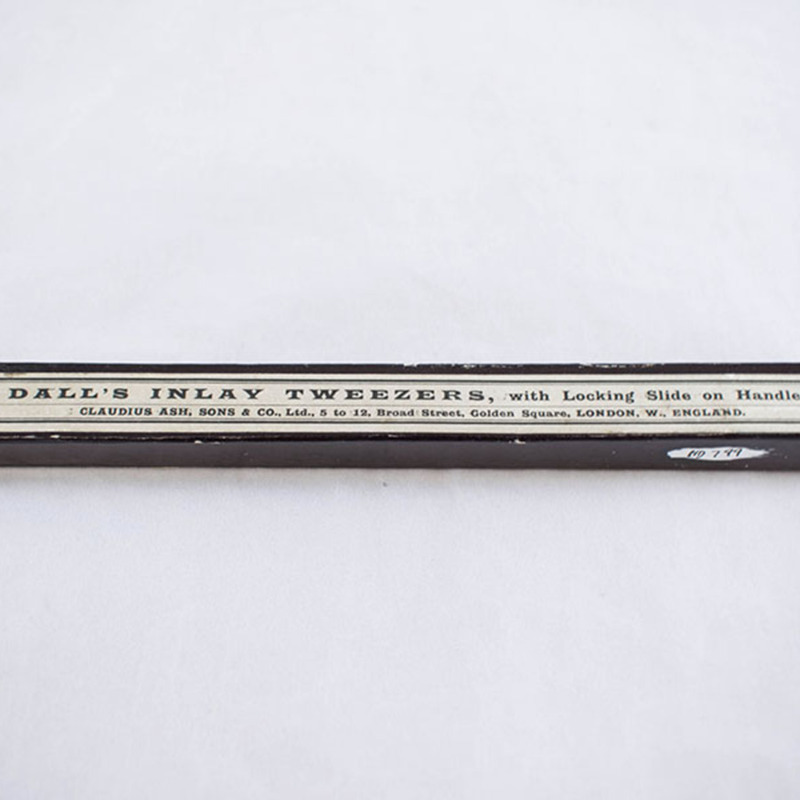 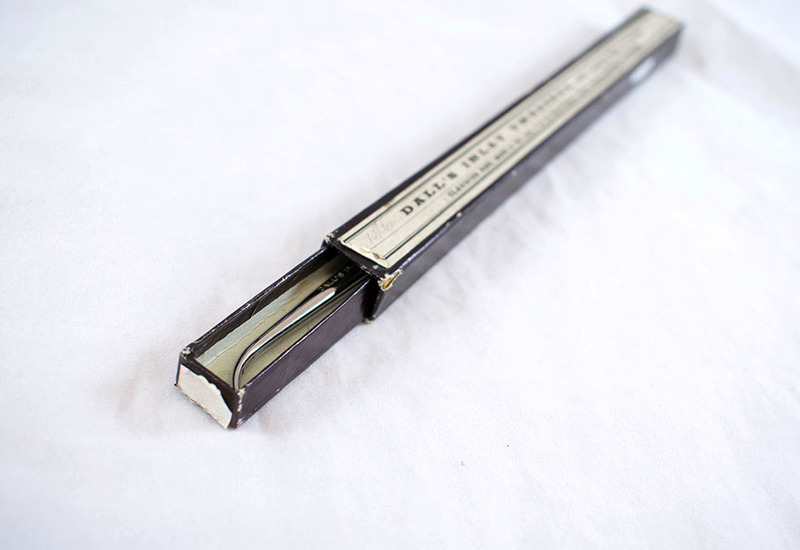 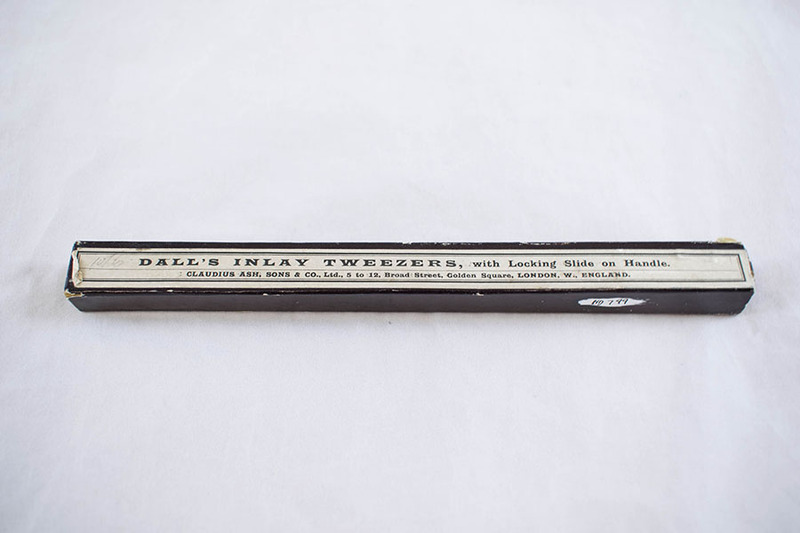 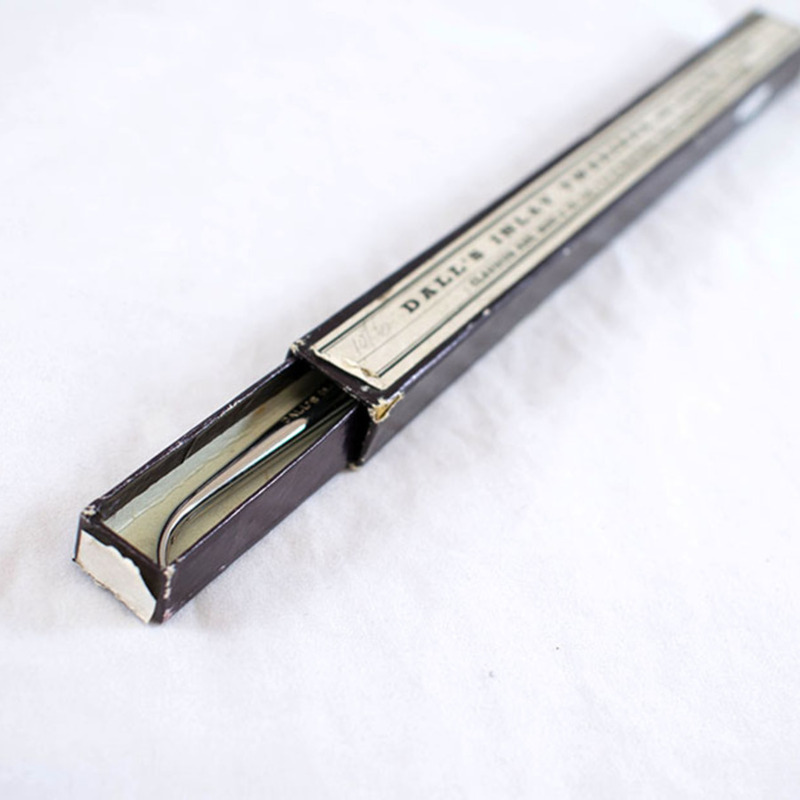 “Inlay Tweezers,” Heritage, accessed April 20, 2019, https://heritage.rcpsg.ac.uk/items/show/705. 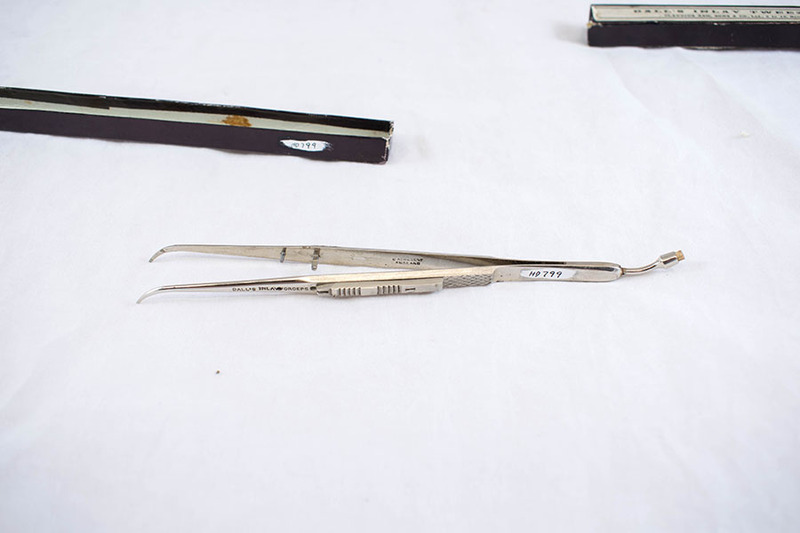 Description: Forceps with locking slide on handle, ground to hold inlay more firmly. 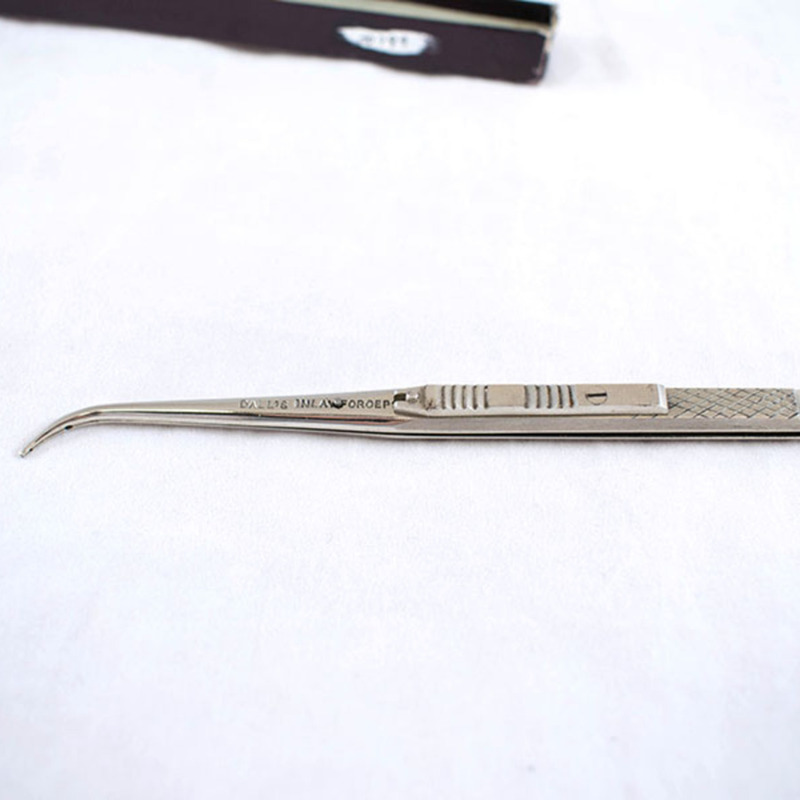 End of handle modified to press inlay while cementing.